Can Even Be Used Sitting Down! The mini log splitter allows you to chop your wood with ease whilst never missing the target! The splitter hits the same target every time with an easy pumping action(the handle extends out) to split the log. Pump the handle up and down until the log splits. The wood chopper is so easy to use you can even do it sitting down, and there's no need to carry any heavy logs as you can take the splitter to the wood you wish to chop! Much safer than a hand axe for chopping kindling or wood for camp fires and has the benefit of keeping your posture straight too. 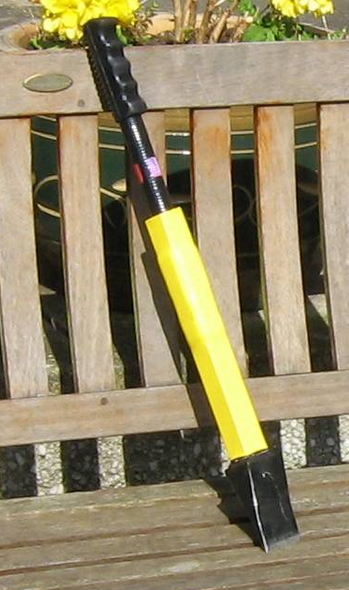 There are no reviews for Manual Log Splitter Hand Held Safety Log Axe.